Dubai’s most happening and desirable landmark for a lot of reasons, Palm Jumeirah is a man-made archipelago, divided into The Crescent, The Trunk and 16 ‘Fronds’ that together make up complete palm-tree shape on the water of the Arabian Gulf. It’s also home to the expats, the locals, who love to live in luxury villas situated on its many fronds. It definitely gives you a 'fronded' life you always desired to live. People prefer to live on the Palm Jumeirah because it’s a dream place to live in, a heaven on earth, with a lot of eatery options, coffee shops and easy access to the mainland via monorails. Why buy a villa in Palm Jumeirah? Buying a villa in Palm Jumeirah could be fruitful since community villas are highly in demand by Dubai residents. Purchasing a property in Palm Jumeirah is not just confined to the local residents. Since it’s a freehold area, it is open to all the nationalities. In fact, if you own a property with a value of more than one million dirhams, you are eligible to obtain UAE residency. 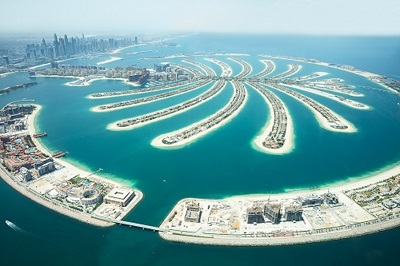 MyVilla.com offers a wide range of villas for sale in Palm Jumeirah, the displayed assortment above includes properties of different sizes and in various communities.